Hedera Hashgraph is the world’s first fair, fast and secure distributed ledger technology that can perform 500,000 transactions per second. But currently, it is only limited to the deployment in private network. 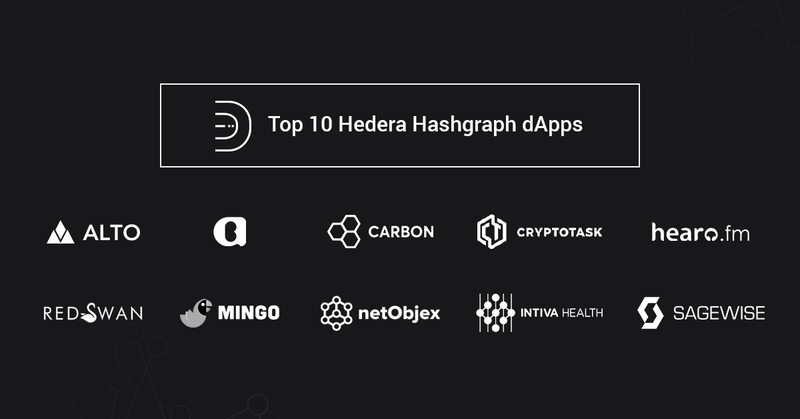 Since Hedera has recently released its open-source SDK for developers, there are around 100 dApps committed to building on Hashgraph platform. Also, more than 5000 developers are actively interacting in Discord Channel to discuss the development of Hedera Hashgraph based applications. With smart contracts, file storage and native cryptocurrency, Hedera Hashgraph is ready to disrupt various industries like finance, real estate, gaming and media and entertainment. We will discuss the top 10 Hedera Hashgraph dApps that will bring transformation to several business operations. Sagewise is building a smart contract SDK that enables contracts to be stopped when any dispute arises. Smart contract creator involves Sagewise SDK in their smart contracts. If something goes wrong, contracting parties trigger dispute resolution mode to freeze the contract until it is resolved. The marketplace vendors defined in the smart contract resolve the disputes and offer unique approaches to dispute resolutions by setting their own fee structures. Sagewise initiated the project to solve the disputes in smart contracts with blockchain and cryptocurrency. But now they have planned to use Hedera Hashgraph to deal with conflicts and errors in smart contracts. Since Sagewise includes the Solidity Virtual Machine, SDK can be easily integrated with the Hedera Hashgraph platform. This compatibility makes its working with Hedera Hashgraph a win-win. They preferred to build a decentralized app on Hedera Hashgraph to overcome the problem of scaling on a distributed ledger. Unlike Blockchain, Hashgraph does not have any technical limitations. Hashgraph also supports Solidity smart contracts, so, Solidity code can directly be migrated to Hedera Hashgraph with no changes in the code. Hearo.fm is a Hedera Hashgraph based global marketplace that enables music artists to sell and showcase their music directly to fans via a decentralized platform. According to Andrew Antar, founder of Hearo.fm, Hedera Hashgraph is the only technology which enables the use of micropayments for streaming music. Hearo.fm aims to provide access to a global music distribution by creating a music economy with micropayments for listeners and artists. Bank fees and credit card processing make micropayments to music artists impossible and it also takes around two and a half years to transfer compensation for music played. Moreover, nowadays IP holders hold a majority stake while artists are given a small amount of compensation. Hearo.fm platform offers compensation to end users and artists immediately via micropayments. The global music platform based on Hedera Hashgraph has also planned to utilize the existing Solidity smart contracts code to simplify it for the developers to launch Hearo.fm in the market. Alto.io is a decentralized gaming platform that allows users to mint, sell and use crypto items on Hedera Hashgraph. It enables any game to create and use non-fungible and ownable items to generate revenue and offer that asset to the users. Alto.io, a decentralized platform, is a suite of tools which allows players, content creators and developers to use, sell, search and mint crypto assets as participants of an item-first economy. Alto’s crypto items are interoperable as they can be sold and used across various games and users. Game developers can avail free customer acquisition when the games support the same crypto assets owned by the players. On the other hand, players can utilize the crypto items to play multiple games while item creators get commission fees every time a crypto item is owned by any user to ensure sustainable revenue. The Alto.io team has preferred to develop a decentralized platform with Hedera Hashgraph due to its consistent speed for a modern UX, easy developer experience and low fees for a sustainable business. For Alto.io, the speed is the key factor to provide a robust user experience for Alto-powered gaming items whether it is a weapon, skins or whatever required in a game. Another factor to choose the Hedera Hashgraph platform is its comprehensive Solidity Support. The smart contract written in Solidity for Ethereum can be easily ported to Hedera with minimal or no code changes. Carbon is a trustless stable cryptocurrency that achieves stability by algorithmically managing the coin supply based on the demand. The concept of stable coins was introduced due to the increasing volatility of current cryptocurrencies. Stable coins are cryptocurrencies only, but their value is decided as per the value of another stable asset like fiat currency or gold. These coins will not be tied to a central bank, but they will be valid across the globe. Carbon selected the Hedera Hashgraph after the investigation of multiple smart contract platforms. They thought that the Hedera Hashgraph’s distributed public ledger can offer the reliable foundation to Carbon platform by achieving unprecedented speed and maintaining bank-grade security with fractional cost per transaction. Cryptotask is a decentralized task marketplace for freelancers, solving the problems of the centralized marketplace like restrictions on high-value tasks, slow dispute resolution and high fees. Also, the users on Cryptotask platform are rewarded for specific tasks such as writing reviews. Cryptotask will be a Hedera Hashgraph based platform that will include clients, reviewers and freelancers. Clients can share job posts; freelancers can apply for those jobs and reviewers can be selected to be part of a review panel proportional to their stake. Currently, the Cryptotask’s platform is deployed on the Ethereum main net. But after understanding the potential of Hashgraph, they have decided to migrate it to Hedera Hashgraph. They selected Hedera Hashgraph due to its opportunity to lower the transaction fees while improving the speed and security of the platform. The ability to write and run contracts in Solidity is another reason to build a decentralized application on Hedera Hashgraph. Arbit is an innovative decentralized platform that will enable direct compensation to creative entrepreneurs and individual artists. The platform aims to harness revolutionary technology to regain the power of art. Since the platform will be based on Hedera Hashgraph, Arbit will allow its users to pay in micropayments to artists to show support and appraise their work. Using Arbit platform, users can identify millions of works of art by artists across the globe. Users can also produce performance and live shows by linking artists’ show location to Arbit’s virtual stage. Artists’ fan around the world can watch, share and like live shows and performance. Also, they can generate micropayments for both the online crowd and artist. Built on the Hedera Hashgraph, Arbit enables artists to be paid through microtransactions of cryptocurrency. The speed and efficiency of Hedera Hashgraph make the usage of micropayments practical. Red Swan is a secure platform based on Hedera Hashgraph that allows users to invest in tokenized and high-quality commercial real estate assets with the security and liquidity of public markets. Their goal is to overcome the problems like liquidity, lack of transparency, high fees due to market inefficiencies and inability to access deal for small private buyers. It will be a single platform that will connect buyers, sellers and intermediaries. Red Swan is a marketplace that connects multiple stakeholders such as intermediaries, sellers and buyers. Property data and transaction details will be saved on Hashgraph DLT platform to bring transparency to the deal operations. The Red Swan platform aims to perform high value and large-scale transactions which can be possible with the high level of security and trust offered by Hedera Hashgraph platform. With Asynchronous Byzantine Fault Tolerance, Hedera Hashgraph can achieve the highest level of security in the field of distributed consensus. Red Swan also preferred Hedera Hashgraph platform as the communications are encrypted with TLS 1.2, every event is signed digitally and the hashgraph is developed with cryptographic hashes. Mingo, a Hedera based dApp, is a multi-channel messenger platform that puts together all conversations in a single platform by supporting Facebook, Twitter, Steam, Slack, Skype, IRC Cloud and Discord. 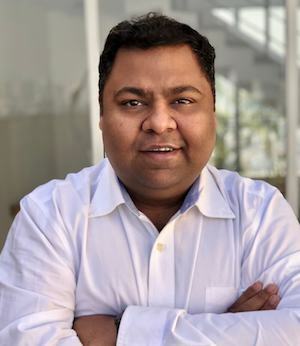 The Mingo App is aimed at resolving the issues of connecting with various conversations on different apps. This dApp will save users from downloading multiple applications to communicate with people around the world. Mingo is an easy-to-use application where users can have all messages under one app which will dramatically reduce the time to get connected on different platforms. Also, it will enable its users to transact and manage cryptocurrency within the messenger with Mingo wallet. Users can even play a game called “Mingo Play” with friends or strangers to earn cryptos as rewards. Mingo has planned to build their app on Hedera Hashgraph to bring security, fairness and scalability to the ecosystem. Hashgraph will ensure secure communication between users on the platform with Asynchronous Byzantine Fault Tolerance mechanism. Intiva Health has planned to reinvent the healthcare sector by building a Hashgraph based solution, ReadyDoc which will offer instant verification to medical providers. Intiva Health enables licensed medical professionals to store credential documents securely and control its access. The Hedera Hashgraph based credential management solution also eliminates the paperwork and automates the crucial task of ensuring compliance. The platform alerts medical professionals about the expiry of credentials. With Hedera Hashgraph, healthcare providers can have control over their credentials. Medical professionals can own their data and can share it only with the parties they desire. After analyzing numerous technologies, Intiva Health decided that Hashgraph can be only distributed ledger technology which can offer the security and scalability level the healthcare market demands. CuLedger has partnered with Hedera Hashgraph to build a public ledger system for cross-border payments. It is a credit union-owned CUSO that emphasizes on offering innovative applications on a distributed ledger platform for Credit Unions. CULedger is developing a global self-sovereign digital identity, MyCUID which will help to build a comprehensive system for identity and global payments. CULedger is launching MyCUID, based on Hedera Hashgraph. With MyCUID, members of the credit union can stay away from identity thefts and financial frauds, while building the trusted relationships with other members. Having MyCUID will ensure that the credit union member can make cross-border payments securely. Currently, cross-border payments are cumbersome for all parties as it takes time, adds high fees and lacks transparency. Hashgraph is quite faster and offers the visibility between transacting parties at lower cost. Since the transactions are recorded immutably on the Hashgraph’s public ledger, it eliminates the risks of frauds. Since Hedera Hashgraph aims to offer the benefits of distributed ledger technology without limitations, it can change the way several financial or other operations are managed currently. Unlike other ledgers, it uses “gossip about gossip” protocol with the virtual voting algorithm to reach consensus efficiently. If you are looking to build a dApp for your business on Hedera Hashgraph platform, contact our Hedera Hashgraph developers and discuss your requirements. What are the key concepts of Blockchain Development?